Personally, I'm a huge fan of Greek food. It's always so fresh and colorful, filled with the brightest and tastiest vegetables, even slipping in healthy ingredients where you don't expect it. For this reason, it's always at the top of my dinner suggestion list. While it isn't Andy's first choice, he is occasionally willing to oblige to make his wife happy (smart guy), even when that means driving 30+ minutes from our new home to get good Greek food. This falafel was a different story. He was helping me in the kitchen the night we made this meal, and was trying to figure out exactly what we were eating. While he originally seemed apprehensive about the mixture he was forming into small patties and placing in the hot oil on the stove, once he tasted it he was won over. The falafel had the right crunch and had so many complimentary flavors. 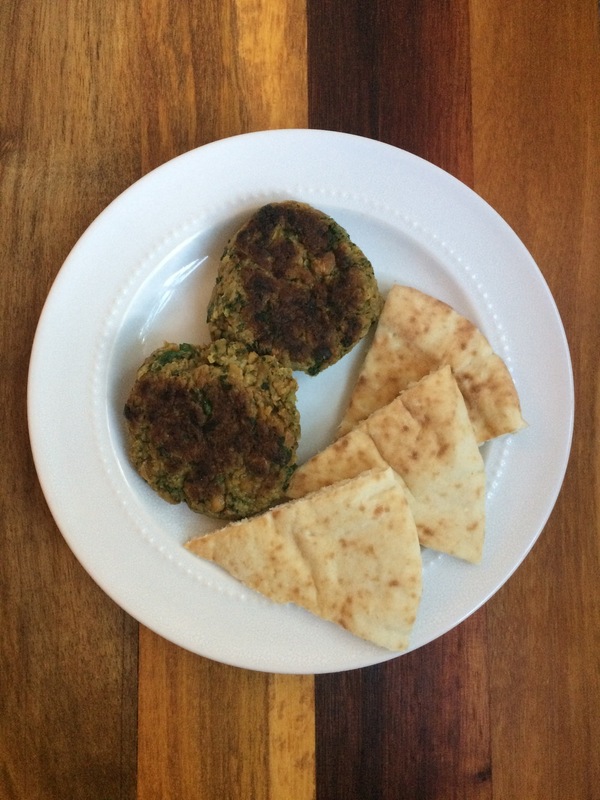 I never thought making my own falafel at home could be so simple and quick. It was unfalafeble. In your blender or food processor, add the chick peas, onion, parsley, cilantro, garlic, cumin, salt, red pepper, and baking soda and pulse until the mixture is minced, but not smooth. Add in the flour and pulse a couple more times to incorporate it. Check to see if the blend is a consistency that will allow you to form small balls without being crumbly. Pour into a bowl, cover, and refrigerate for about an hour. Remove your bowl from the fridge and form into small patties using about 3 tablespoons of the mixture. You want your falafel to be about 1/2 inch thick and 2 inches in diameter. Heat up a large skillet over medium heat. Coat the bottom of the pan in olive oil, making sure the entire space is covered. Once your skillet is hot, place the patties into the pan with space between them each. Allow them to cook on each side until brown, about 3 - 5 minutes. Flip and cook on the other side, following the same process. Once browned on each side, remove from the skillet and place on a paper toweled plate to cool. 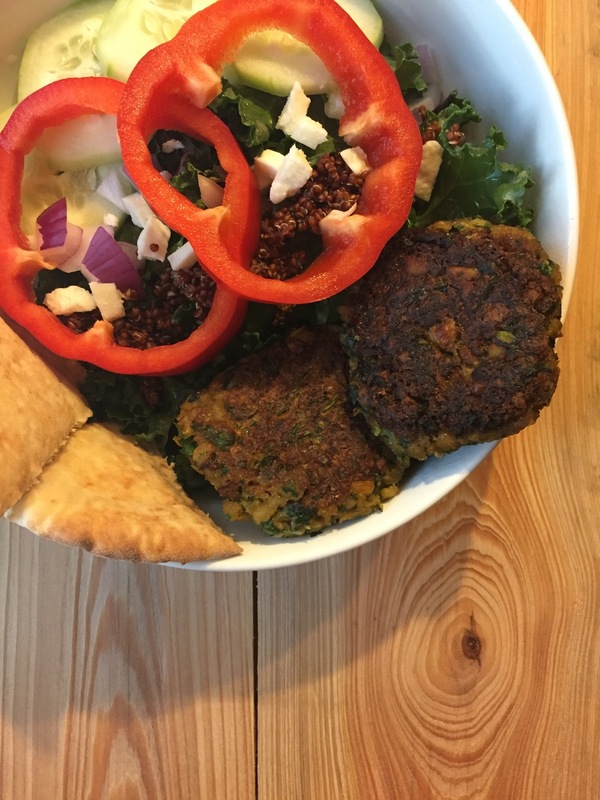 We enjoyed ours on top of Greek salads, and leftovers later in the week on pita bread.